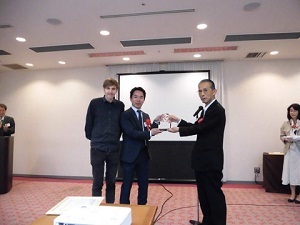 Yaraku, Inc. (Yakuraku) developed and provided a translation support tool "YarakuZen" has been introduced at the company level by Polygon · Pictures Ltd. (hereinafter referred to as "Polygon · Pictures"). With this, Polygon Pictures will improve communication problems in foreign languages ​​and aim to further improve the quality of digital animation production, which is the company's strengths. Yaraku Co., Ltd. (hereinafter, Yaraku) to develop a cloud-based translation support tool "Yarakuzen", Ltd. Translation Center of the translation industry's largest (hereinafter, Translation Center) has partnered with. We will support the Machine Translation Tool "compath" which will be offered today from the Honyaku Center as a product developer.